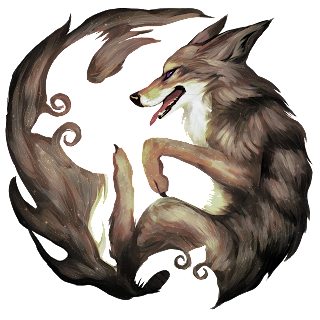 Happy Anniversary to Monika Lonely Coyote Shamanism! I did it! I made it one whole year as a full-time shamanic healer (and three years since opening my practice)! Yesterday, I performed a solitary ritual, to honor and thank all the Helping Spirits who have worked with me (and worked with my clients). I follow a Druid path in my personal spirituality, and offerings are a large part of the celebratory work that I do with the Kindred (Ancestors, Nature Spirits, and Shining Ones). I've written about the types of offerings I enjoy giving in a previous blog article. For this ritual, I gave to the Ocean Conservancy (hail Manannan Mac Lir! ), Defenders of Wildlife (hail Nature Spirits! ), and the Sierra Club (hail the human advocates for Earth Mother!). Growing my own knowledge and skills through "continuing education credits" such as workshops, lectures, etc. The next one I will be attending is in October, with Dolores Ashcroft-Nowicki, in Philadelphia! Currently on a waitlist, but things may move quickly if I remain flexible in the next year! All healers need to work on their own healing, and I am hoping to establish some wonderful reciprocal relationships! Outlining and writing The Book, about the differences between mental illness and spiritual experiences. Lots of new things coming up, and a great way to follow is to both watch this space, and visit my Facebook Page, too! They all sound like great goals, but I'm most excited by the idea of the book. It is much needed. I'm also trying to figure out if I can possibly make it to Dolores' workshop. Sadly, I suspect not. It's a busy time. Congrats on making it through your first year as a full-time shamanic healer!